In between stints as Batman in various films, Ben Affleck found time to play a different kind of action role. Via 2016’s The Accountant, Affleck takes on a character with an unusual path in life. Young Christian Wolff (Seth Lee) showed amazing mathematical abilities – along with autism. Chris gets the chance to optimize his skills and develop additional talents at a special private school, but his hard-edged military officer father (Robert C. Treveiler) declines this opportunity. Instead, Chris’s dad trains the boy and his brother (Jake Presley) in the physical arts and other ways to deal with his unusual cognitive profile. As an adult, Christian (Affleck) continues to use his variety of skills. He works as an accountant at a seemingly nondescript firm in Illinois, but in truth, he cooks the books for various criminal enterprises. A Treasury Department task force led by Treasury Agent Ray King (JK Simmons) pursues Christian in a semi-quixotic manner. This puts some pressure on Christian to cover his tracks, so he takes a “straight job” for a major robotics corporation. Christian’s stint at this company leads to a few complications. In addition to the pursuit from the Feds, Christian unsettles the wrong people when he uncovers improprieties at Living Robotics, and this sets violent folks on his path. Christian also starts to bond with co-worker Dana Cummings (Anna Kendrick), one that gives him more of a human element to his life. All of that sounds like a complicated storyline, and it is – too complicated, to be honest. Accountant dips its toes in more domains than it needs, choices that make it messy and inconsistent. To some degree, I admire the movie’s ambition, as it bites off a whole lot. The film attempts to be more than a simple view of one topic, and it occasionally avoids some of the predictable pitfalls we anticipate. Unfortunately, Accountant just can’t handle its ambitions. The film embraces so many different story bits that it collapses under its own weight and can’t juggle all those balls. Really, Accountant would work better if it concentrated on one or two of its topics. 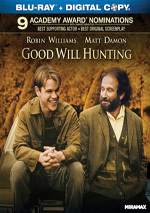 The movie attempts to spread itself so thin that virtually all of the plot points suffer. Because of this, Accountant flits from one area to another in an awkward manner. We lose characters and themes for extended periods of time, and those lapses sap the movie’s energy. We can’t invest well in different circumstances when we forget about them. That inconsistency really mars Accountant because it means the various elements lack good development. Take the Treasury Department subplot – Ray and his colleague Marybeth Medina (Cynthia Addai-Robinson) disappear from the movie for long spaces – far too long, so the tale can’t maintain their forward momentum. All of this means Accountant often feels like a mini-series cut down to feature film length. One gets the impression that the filmmakers shot all sorts of scenes that don't appear – scenes that would give the flick better flow and clarity if they appeared here. But they don’t, so we’re left with a messy melange of character and plot nuggets without a lot of cohesion. Parts of Accountant show promise, but the lack of consistency robs the film of drama and makes it a less than enthralling action drama. 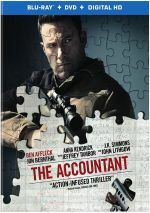 The Accountant appears in an aspect ratio of approximately 2.40:1 on this Blu-ray Disc. Overall, the image seemed solid. For the most part, sharpness looked positive. Occasional wider shots showed a smidgen of softness, but most of the film seemed accurate and concise. The movie lacked moiré effects or jaggies, and neither edge haloes nor print flaws became evident. To the surprise of no one, Accountant favored a stylized palette that emphasized orange, teal and amber. As limited as those choices were, the movie reproduced them well. Blacks were tight and dense, while low-light shots displayed fine resolution. This turned into a more than adequate presentation. A character movie with occasional action flourishes, the DTS-HD MA 7.1 mix of Accountant worked well. While much of the scope remained semi-restrained, enough of the material kicked into higher gear to make this an involving piece. Most of the “bigger” sequences came during the third act, and those used the spectrum to blast us with gunfire, explosions and other dynamic material. Quieter scenes showed nice breadth as well, and music offered good presence. Audio quality worked fine. Music was full and rich, while dialogue appeared natural and easily comprehendible. Effects displayed lively tones, with clear highs and warm lows. The track added life to the film. Three featurettes fill out the set. Inside the Man runs 10 minutes, 38 seconds and offers notes from director Gavin O’Connor, writer Bill Dubuque, producer Mark Williams and Lynette Howell Taylor, production designer Keith Cunningham, and actors Ben Affleck, Anna Kendrick, John Lithgow, Jon Bernthal, and JK Simmons. “Man” looks at cast, characters and performances as well as production design. Inevitably, a little of this veers toward happy talk, but we get a deeper view of the movie’s roles than usual. Behavioral Science lasts eight minutes, four seconds and features O’Connor, Affleck, Dubuque, Williams, Taylor, Kendrick, and Education Spectrum Director of Clinical Services Laurie Stephens. “Science” looks at autism and how those traits manifest in the film. This becomes a superficial but decent overview. Finally, we get The Accountant in Action, a seven-minute, 14-second reel with Affleck, O’Connor, Dubuque, Williams, Bernthal, stuntman Thayr Harris, armorer John Harris, stunt coordinators Fernando Chien and Sam Hargrave, and actor Jefffrey Tambor. As implied by the title, “Action” looks at stunts and related domains. It gives us another reasonably informative piece. The disc opens with ads for Live By Night, Suicide Squad, Sully and Dunkirk. No trailer for Accountant shows up here. A second disc provides a DVD copy of Accountant. It includes “Inside the Man” but lacks the other featurettes. Every once in a while, The Accountant threatens to come to life. However, it suffers from such an inconsistent sense of story development that the end result feels too spotty and disjointed to present an entertaining tale. The Blu-ray delivers positive picture and audio along with a small set of bonus materials. Despite some interesting moments, Accountant flails too much of the time.